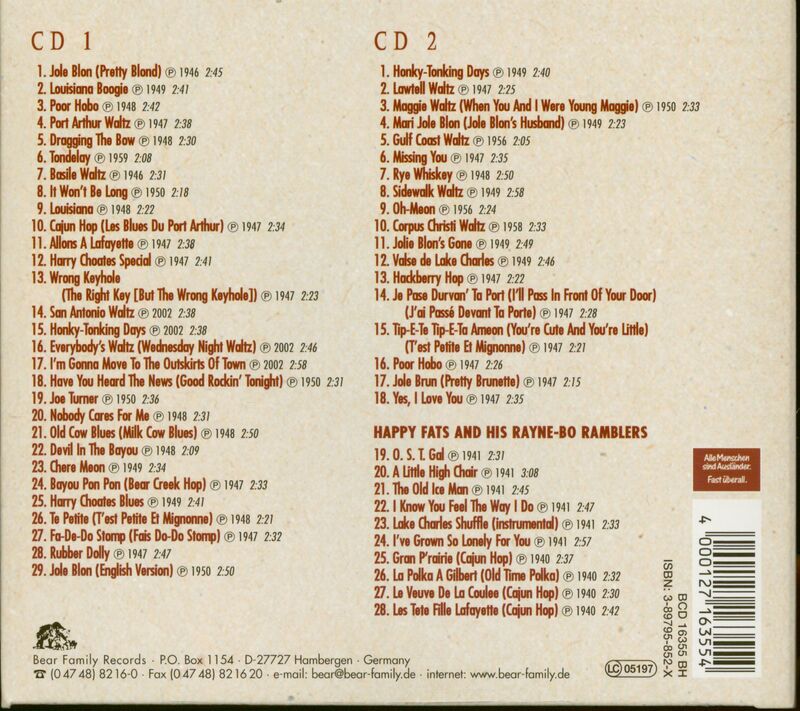 2-CD Digipak (6-plated) with 110-page booklet, 57 tracks. Playing time approx. 150 mns. Here's one of the great untold stories in American music, revealed at last! 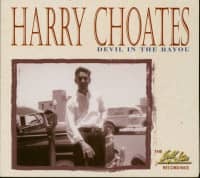 Harry Choates was a natural-born musician. He's famous as a Cajun fiddle player, but he could play matchless Western Swing fiddle and jazz guitar to rival Django Reinhardt. His fellow musicians say he played piano and mandolin superbly, too. In 1946, Harry Choates recorded the Cajun classic Jolie Blonde, forever mistitled Jole Blon. It was cut for a tiny local label, but became a nationwide smash, inspiring numerous cover versions, sequels, and prequels. For the first time, the story is revealed here. Jole Blon was just a small part of the Harry Choates story. He played the roadhouses of Louisiana and Texas, drinking, whoring, marrying, divorcing. His music was part Western Swing, part Cajun, part Jazz. His records were on poorly-recorded and poorly-pressed local labels, and some of his music was unreissued altogether. Finally, the story is complete. 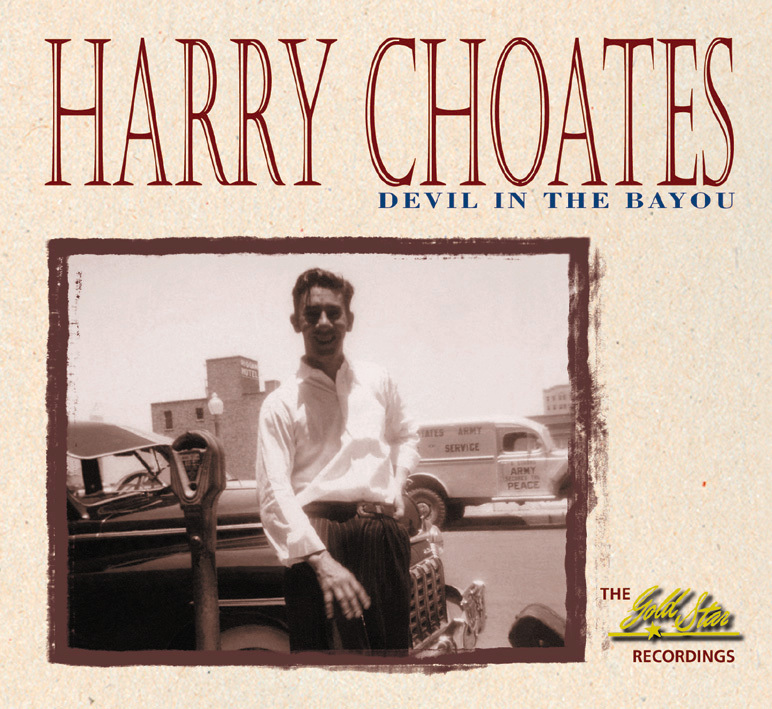 All of the surviving Gold Star masters are together for the first time, plus Harry Choates' earliest recordings, made with Happy Fats and the Rayne-Bo Ramblers in 1940, as well as the sides he made for the Cajun Classics and O. T. label in 1947. His fiddle sings with the joy of making music. Untutored, he was one of the instrument's great natural talents. The 112-page-book accompanying this set contains a comprehensive, newly-researched biography of Harry Choates by Andrew Brown, and contains many rare and previously unpublished photos and illustrations. Customer evaluation for "Devil In The Bayou - The Gold Star Recordings (2-CD)"